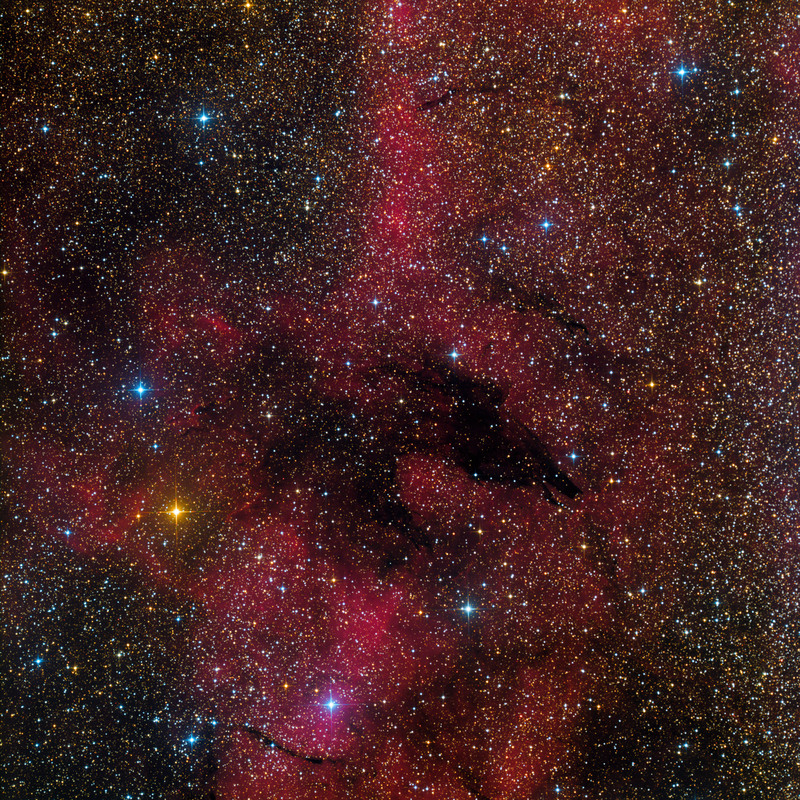 Located in the constellation of Scorpius this dark nebula is known as SL 17 (Sandqvist and Lindroos 17). The nebula resembles the shape of a wolf's profile and often is referred as the Wolf Nebula. 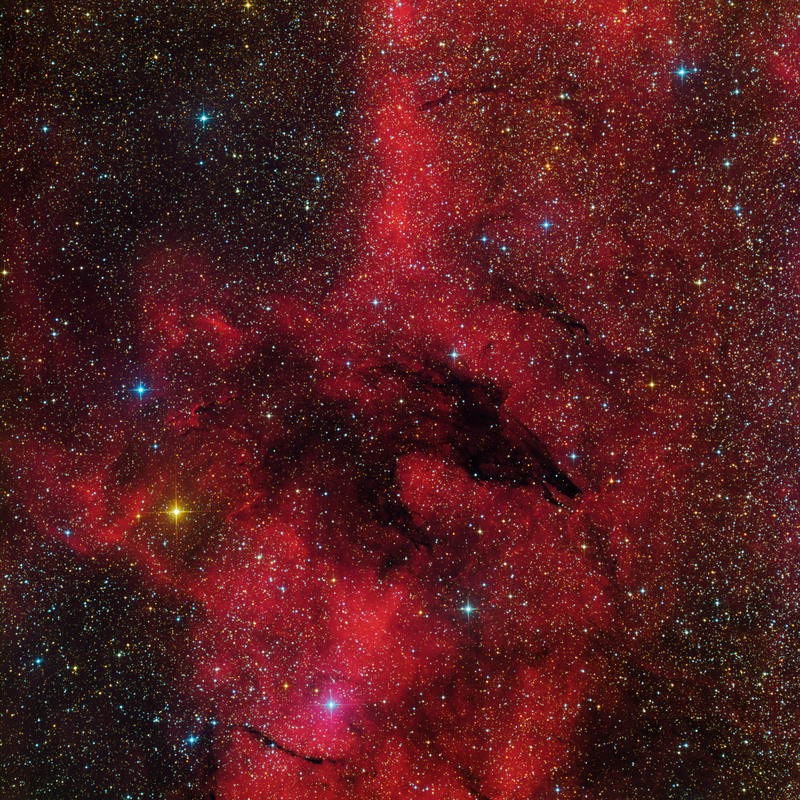 SL17 is situated in the emission nebula RCW113 (or Gum 55).